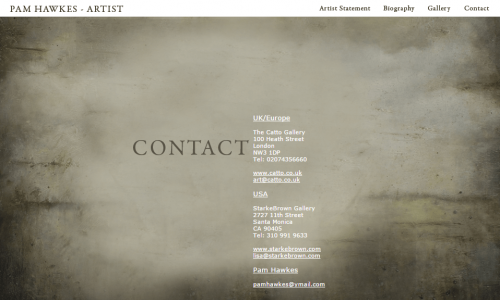 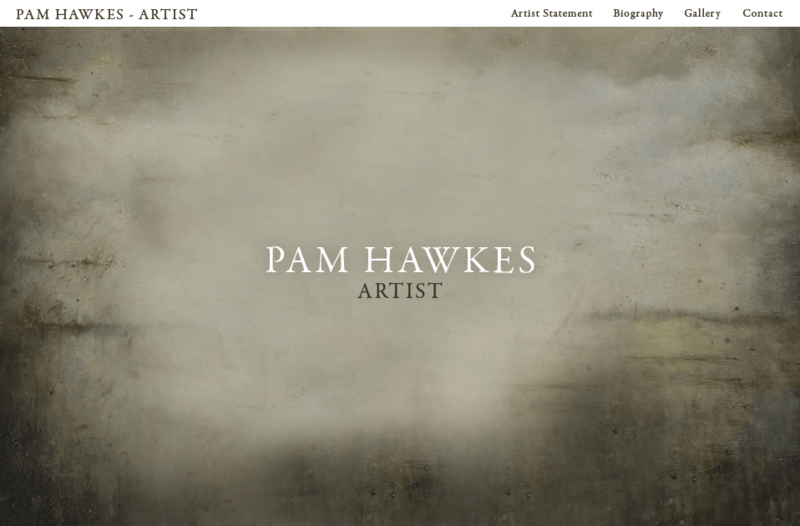 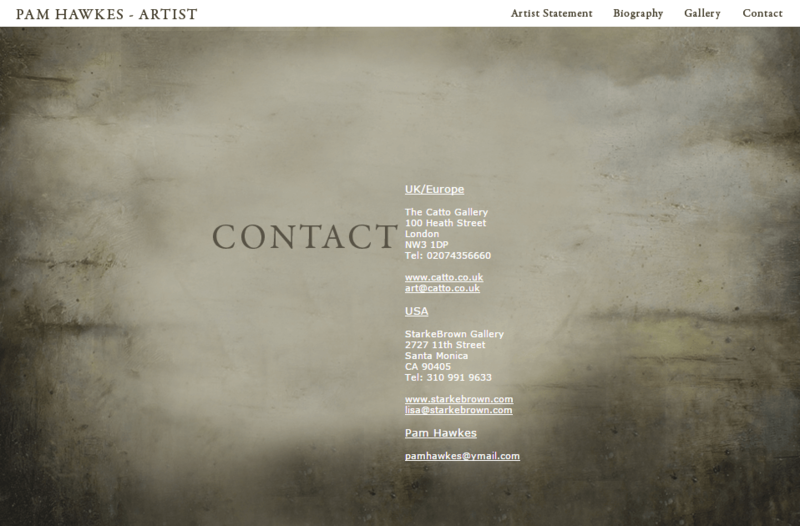 Development of a website for local artist Pam Hawkes, includes basic Content Management System. 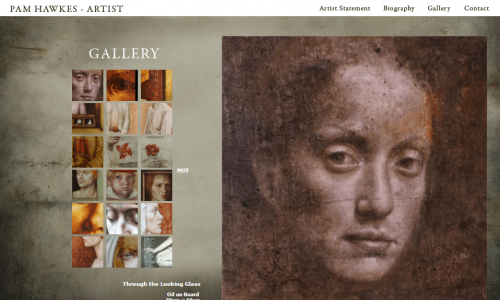 Pam Hawkes is an artist who wanted a website to promote her artwork and show some of the pieces she currently had for sale. 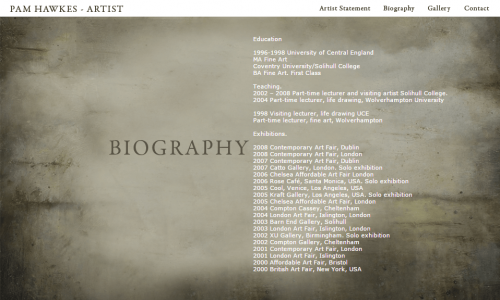 This was the first of a few websites I developed which were designed by Dan Sharp. 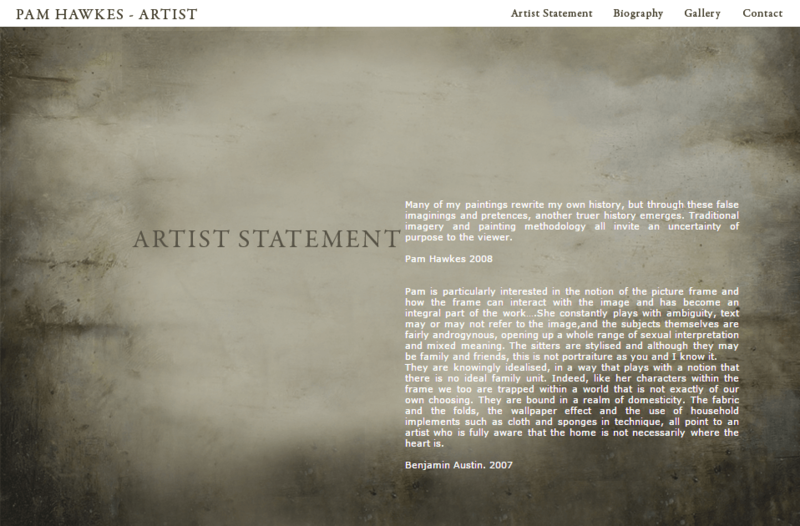 The site was a small site with 4 pages and an image gallery displaying thumbnails of Pam's artwork. 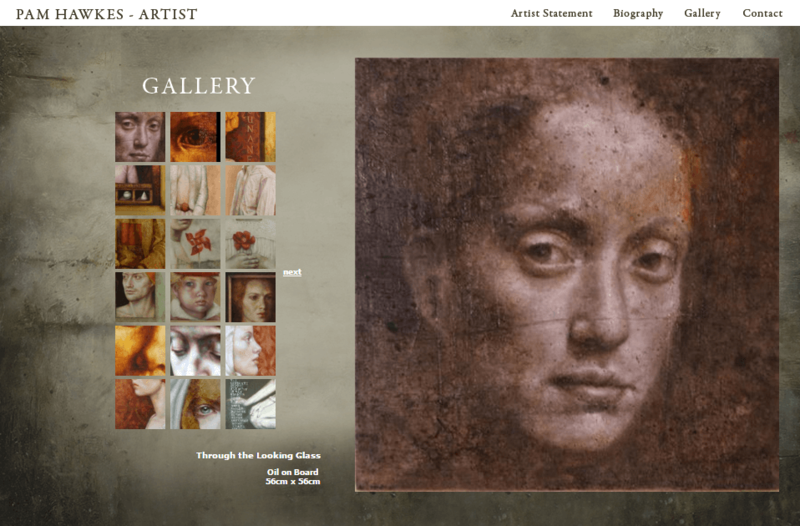 Clicking on one of the thumbnails displayed a larger image and details about the piece. 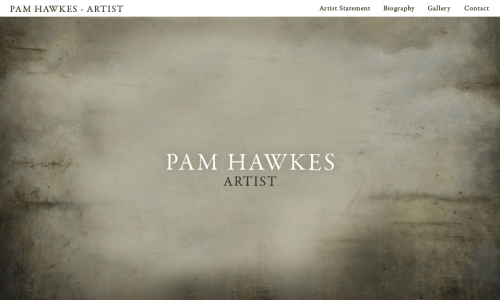 The site also had an admin area to allow Pam to quickly and easily update her content. 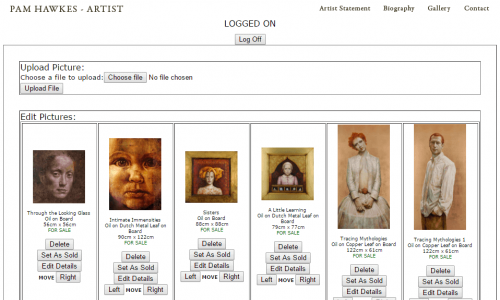 The admin area was built from scratch using flat text files to store the information as the server provided didn't support a database. 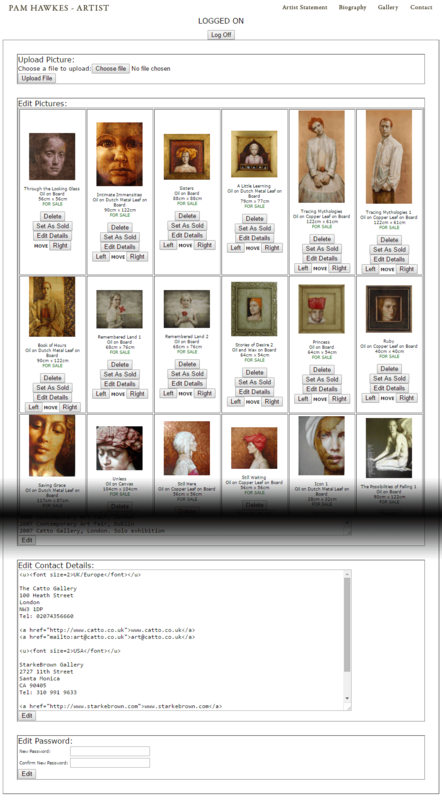 There was an image upload and cropping facility so Pam could add her images to the site and choose which section of the image she wanted to use as the thumbnail.